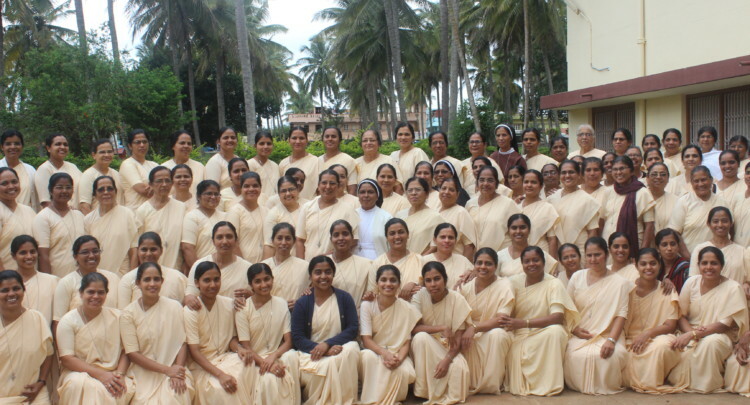 The Ursuline Franciscan Congregation (UFS) of Mysore Province hosted the Annual Superiors’ Meet along with Pre-Chapter study for 2-days on 14 & 15, July 2018 at Maria Niketan, Bogadi. We collectively reflected on the theme of the forthcoming Province Chapter 2018 ‘UFS Commissioned to launch into the deep’ The meeting began with a prayer based on the theme and Rev Sr Apoline Cordeiro, Provincial Superior in her message emphasized on collective religious life and their strategic intervention of institutional and non-institutional activities with a Prophetic stance can shed light to the unjust structures, to people who walk in darkness and indulge into inhuman and cruel acts to helpless poor people, women and children. This approach requires intelligent, well informed, courageous, faith filled, spirit led, risk taking religious force with collaborative and networking approach. The gathering consisted of over 100 participants mainly Superiors, Heads of the Institutions, Economers and Formators. Subsequently two such other gatherings were called for the same purpose. The group participated in the discussions actively and contributed their suggestions.